Have you met Siri yet? If not, it's worth taking the time to learn more about the iPhone 4S's digital ambassador, as she could represent the future direction of local search engine optimization. On the surface, Siri -- the voice recognition app that allows iPhone users to control their cell phones verbally -- seems like a cool party trick, sending text messages from your spoken instructions, checking the weather and setting up calendar reminders. But does this added functionality really mean the end of traditional local SEO as some experts are predicting? In some ways, yes. 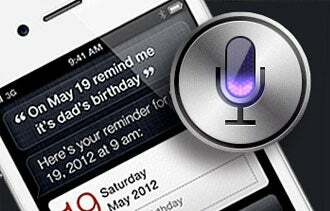 The real impact of Siri isn't just that she acts like a personal assistant. The potentially huge ramifications for local SEO come from the depth of information Siri is able to access and the range of actions she can perform. For example, Siri can call you a cab after a night on the town by automatically processing information about local cab companies in response to the query, "Call me a cab." Automating the search process means you never look up "cab companies in your area" in the search engines, avoiding the traditional search engine results pages and pay-per-click advertisements entirely, therefore limiting their importance and influence. Little is known about how exactly Siri collects and processes information, although it's reasonable to assume that the program is drawing on well-cultivated public data sources, including Google Places, Yelp and similar sites. If Siri is eventually able to pull information from third party apps -- as many predict she will be -- she could effectively eliminate traffic to some traditional websites. As an example, automatically checking people in to Facebook places eliminates the need to visit those places' websites. And when you take into consideration that the iPhone 4S has become the company's best-selling iPhone in just a few short weeks, due in large part to the innovative Siri technology, local business owners should take note of this trend and invest time in optimizing their sites for mobile discovery. Optimize your website for mobile. This isn't new advice, as the rules for mobile SEO -- and the idea of local SEO in general -- have been around for years. But as some sources estimate that 30 percent of all searches could include a local component by 2015, it's more important than ever to make local SEO a priority for your business. Related: How Will Google+ Affect SEO? Add a mobile site template. Having users land on a mobile version of your website will make them much happier, and it isn't difficult to do, as mobile-ready themes already exist for publishing platforms including Wordpress, Joomla and Drupal. Enhance your digital presence. It's no longer enough to simply set up profiles on Facebook and Twitter and call it a day. Instead, establish a profile on any of the following directories and review sites and encourage customers to rate your business there for maximum exposure. To determine which of these options are the best fit for your business, do a quick search to see which business sites in your geographic area and industry are ranking well in Google and create profiles on whichever of the following sites they're using. Implement microdata. If you're savvy in the ways of SEO or have an IT manager who is you'll want to consider adding "schema tags" to your website. Schema tags allow your site to incorporate relevant microdata -- local business, address, telephone and open hours, for example -- that could help Siri and the search engines process important information about your site more quickly. While Siri on her own doesn't necessarily spell the end of local SEO it's worth taking note of the popularity this mobile data management system has gained in a relatively short period of time. As Siri evolves and other operating systems adopt similar technology, the businesses that benefit most will be those that best understand how their customers interact in a mobile environment and optimize their sites to engage them.